Eric Karl Andersen has shown his work in galleries around New England and has been featured in various newspapers and magazines from The Boston Globe to Better Homes and Gardens. 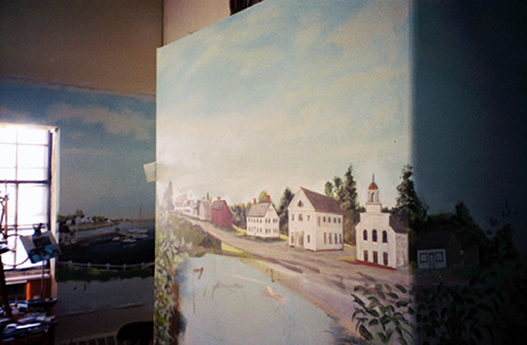 His murals and decorative faux-finishes can be found in houses all along the Eastern Seaboard. Other commissions include The Ritz-Carlton and Four Season’s hotels in Boston, and more. Eric has participated in over twenty Designer Showhouses, and works collaboratively with many ASID-member Designers. Eric graduated from the School of the Museum of Fine Arts where he majored in sculpture and painting. He was a sculpture finalist in the Massachusetts Art Foundation’s Fellowship Program. 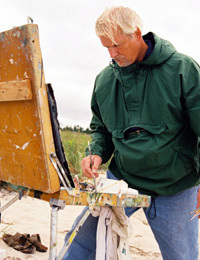 Eric’s studio is located on the North Shore of Massachusetts.